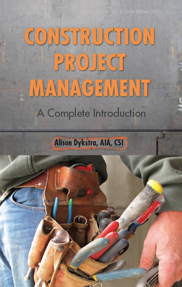 Includes an extensive glossary of construction management terminology. Green Construction: An Introduction to a Changing Industry, by Alison Dykstra, assists the reader transition into and within an industry that is going through major change. Published in February 2016 and available now, this hardcover book is written in a highly accessible and readable style. The book presents an overview of an industry that is going through profound changes, many of which are tied to the increase in the use of green construction principles. How buildings are designed, the materials and products used, even construction practices and the nature of work, are all changing because of tightening energy requirements and building performance expectations. Industry professionals – designers, engineers, and builders – understand that success is increasingly tied to their response to and understanding of these changes. Not another how-to book, nor a sermon on the benefits of environmentalism, Green Construction provides answers to the questions: What is green construction? How is it impacting jobs, workers, and the built environment? And what do these changes look like in the field? 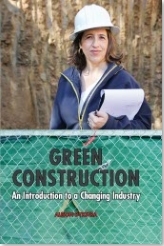 Green Construction: An Introduction to a Changing Industry is available now. Click here for the table of contents, excerpts, and information for teachers interested in adopting the book for their classes. LEED Certification: An Introduction to Certifying a Green Building is available as an electronic publication. Click here.